Add 1/2 lb. 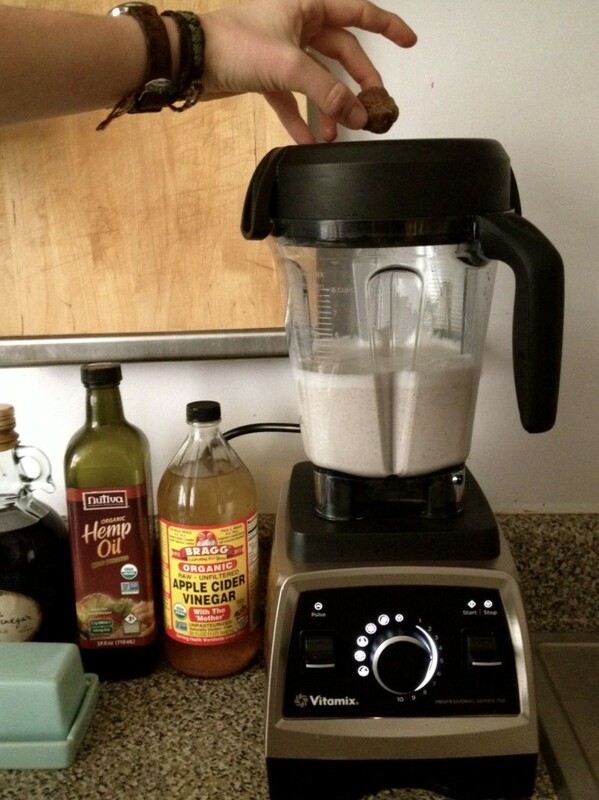 Raw Nonpareil Almonds and 2 cups water into Vitamix and blend until well-mixed. Strain thoroughly with cheese cloth and add fresh, home-made almond milk back into blender. 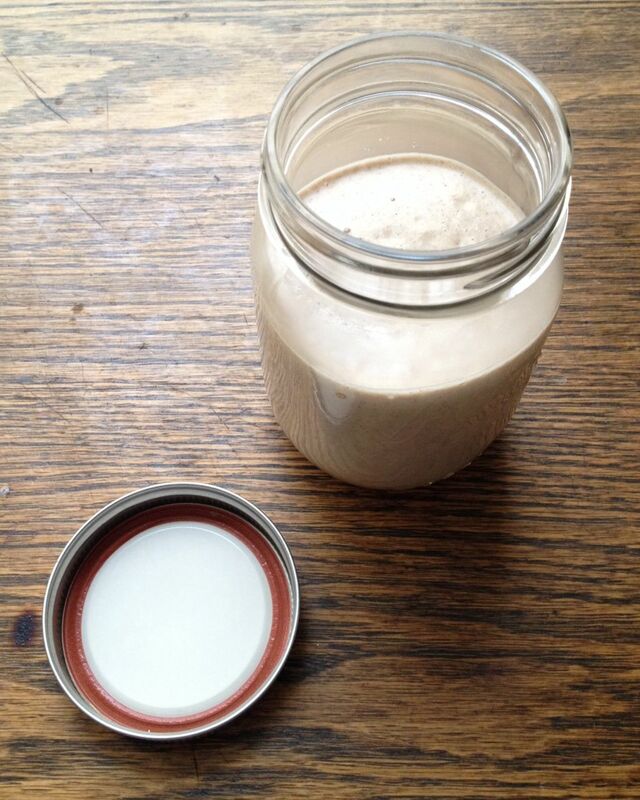 Tip: The best almond milk comes from soaking the almonds in the 2 cups of water for a few hours beforehand. Once the almond milk is complete, add the remaining ingredients as the Vitamix is slowly blending. The Palmero’s Varietal Date Paste balls have been uniformly rolled to fit perfectly in the top of the blender! Ps. 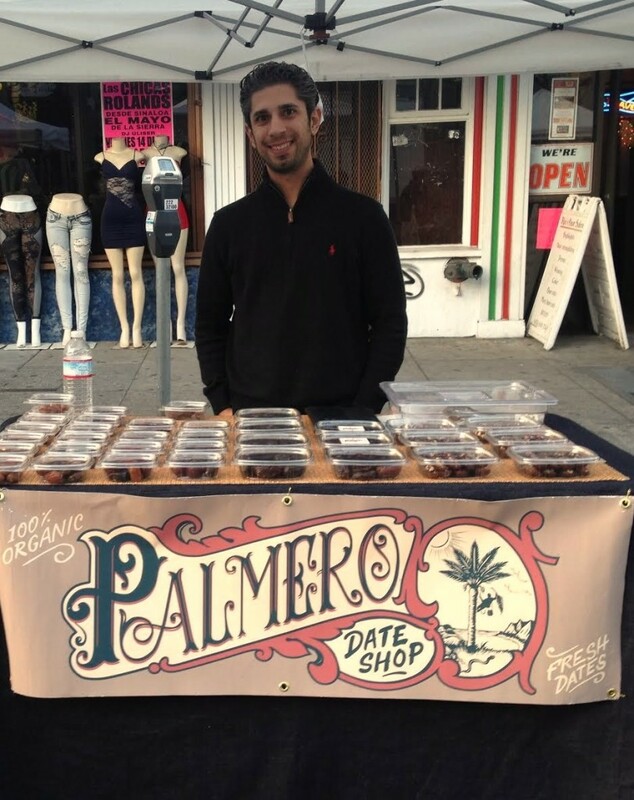 Stop by the stall and ask Ronald about his unique Palmero Date Shop sign (designed by Matthew Powell: Time Is Too Short Art Collective) and it’s significance to region where the dates are grown! Looks great, Ron! I will have to try this recipe:). 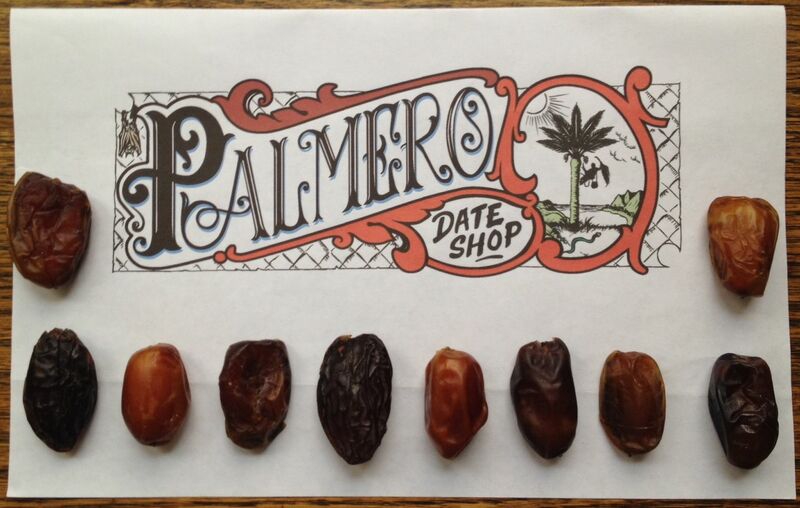 I love look of the Palmero Date Shop art work! My trip to the Mercado always starts with a stop at Palmero Date stand where I pick up my week’s supply of your dates. I love munching on a pack of them while I explore the market and meet with my like-minded health conscious and pure food loving friends. Thanks for going the extra mile and even chilling them for us Ron! Love, love, love this detail and so do my friends! See ya on Thursday! I used to buy your dates at the mission street farmers market every week while I was living in SF. Since I moved to Oregon I can’t find any that compare to yours and I miss them. As a vegan your dates and walnuts are a staple to my diet. Can I purchase them online somehow? If so, please let me know.